One of my kitchen cupboards is rammed full with water bottles of varying sizes, designs and colours. Not one of them fulfils all my needs - one is well insulated but leaks, one is leakproof but doesn't keep drinks cool or warm, one has a fussy freeze stick system and I forget to freeze the flipping stick.... 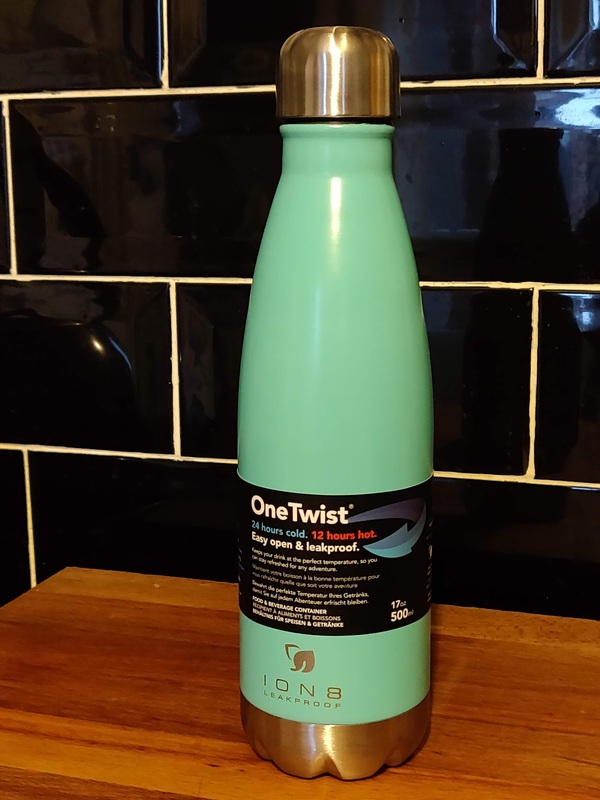 They can all go in the bin now I've discovered the fabulous ION 8 leakproof insulated bottle. 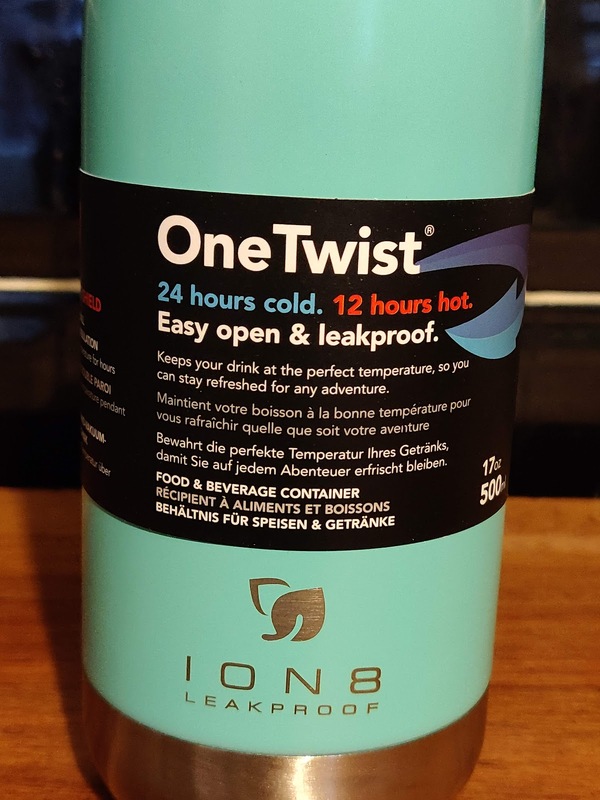 It doesn't hurt that the ION 8 is an attractive bottle, available in a wide range of colour-ways and feels nice in the hand. It's nicely weighted so it doesn't easily topple. "The ION 8 is a 100% leak proof BPA free reusable refillable insulated stainless steel water bottle/flask. The ridged cap opens with just one twist, and the wide mouth provides a smooth, rapid flow. ThermoShield double walled vacuum insulated 18/8 stainless steel keeps your drink at the perfect temperature." "Keeps drinks hot for up to 12 hours, or keeps water chilly cold for up to 24 hours. These drinks bottles stay sweat and condensation free. No concerns about rings on your table or dampness in your bag. The width of a can, 500ml (17oz) fits most cup holders, bike bottle holders and external mesh pockets on rucksacks." 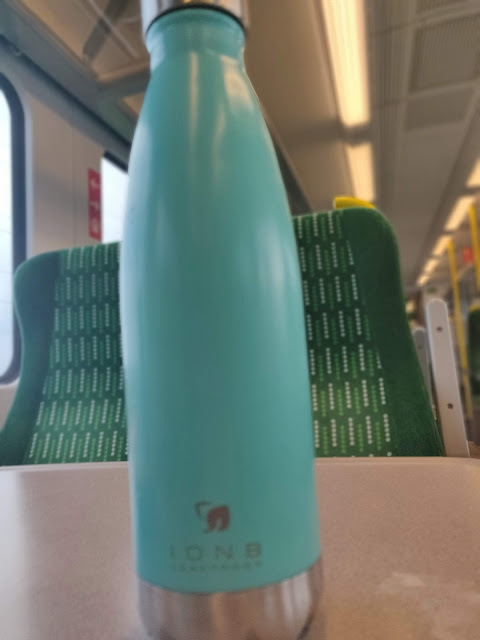 I mostly use water bottles for my frequent trips into London on the train for blogging events and the fact that it doesn't leak into my rucksack where I also usually carry a tablet and my kindle is vital. I love that it actually does fit into the net pocket on the sides of my rucksack making it easy to grab on walks. Apart from the fact that owning a reusable bottle like this goes a long way towards cutting down plastic wastage as you don't need to buy drinks in disposable bottles, it can also save you a lot of money. Take my habits for instance - I love iced tea but at Euston it can cost as much as £2.20 for a chilled bottle of iced tea. On average I reckon I could easily spend over £300 a year just on iced tea and that's a lot of plastic bottles to dispose of. An iced tea mix which makes around 10 servings to pop into my ION 8 bottle costs me £1.35......you do the maths. 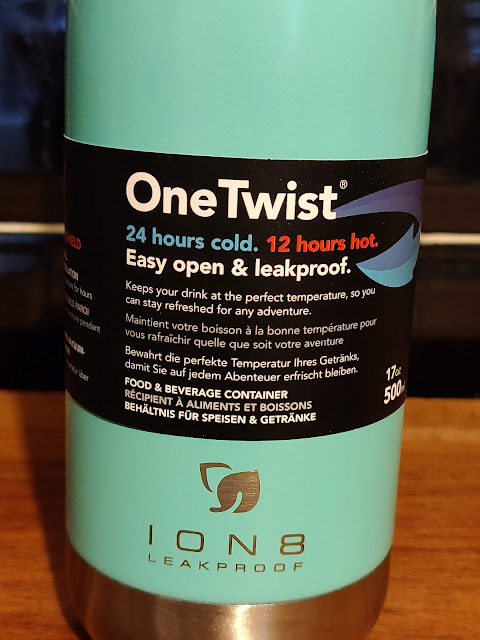 Disclaimer: I received an ION 8 bottle/flask free for the purpose of this honest review.